Did the ​Philadelphia Eagles make a big mistake by not keeping quarterback ​Nick Foles? We ask this question because it doesn't appear that ​Carson Wentz's back is fully healed. His words, not mine. 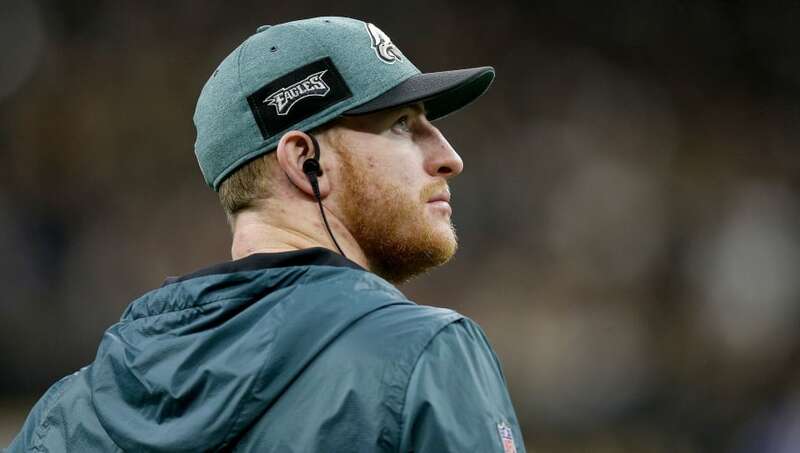 ​Wentz did say that he's gearing toward being ready for OTAs, but it has to be at least a little concerning that his back isn't fully healed at this point in time. After all, he hasn't played a down since the beginning of December and we're now in the middle of April, which has given him over four months of rest. It's a good sign that he's doing a little bit of running and throwing, but that's not proof he's progressing well enough to make Eagles fans feel comfortable about his health. Wentz said that he feels good, and even though he didn't confirm that the bone in his back is fully healed, he said that it takes time and he likes where he's at right now physically. Let's hope he can put the injury woes behind him and that his reputation of being injury prone doesn't start to stick because he's the Eagles franchise player and the team cannot afford to lose him again.